Electric heating cable affixed to mesh rolls and mats offer ease of installation because the cable is already properly spaced and secured. But what happens when an angled wall comes into the picture? That’s exactly why WarmlyYours introduced TempZone™ Cable three years ago. Many installers began requesting free-form cable for its flexibility. This way, whether a room has an angled wall, pillars or another obstruction, the loose cable can easily maneuver around it. By adding free-form cable to its offerings, the company has enabled customers to get full heating coverage in uniquely shaped rooms. Beyond the primary objective of the product, TempZone™ Cable offers many other benefits. We’ve called out a few of the most significant ones to demonstrate why this product remains so popular. As already mentioned, the prime advantage of TempZone™ Cable is its flexibility. It is flexible enough to weave around obstacles, but it’s also flexible in terms of wattage. Because the cable is not secured in mesh, it can be spaced at 3 or 4 inch intervals, depending on the customer’s needs. When spaced at 3-inch intervals, the wattage will be between 12 and 15 watts per square foot, which can potentially be the primary heat source for a room (check the Heat Loss Calculator to be sure). However, if less heat is needed, the cable can be spaced at 4-inch intervals and used as a supplementary heating source. Fixing strips are provided with all TempZone™ Cable purchases (unless you opt for a Prodeso Installation Membrane). 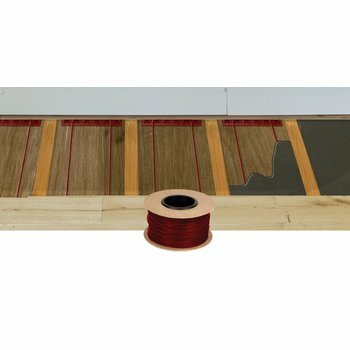 These fixing strips are secured to the subfloor and provide tabs that allow the installer to space the cable properly and hold it in place per the recommended layout. The 4-inch spacing option can also save customers money because less cable will be required. The format of the cable itself is easy to work with. The cable comes in a spool, which makes it easy to install and reduces the chance of tangling. 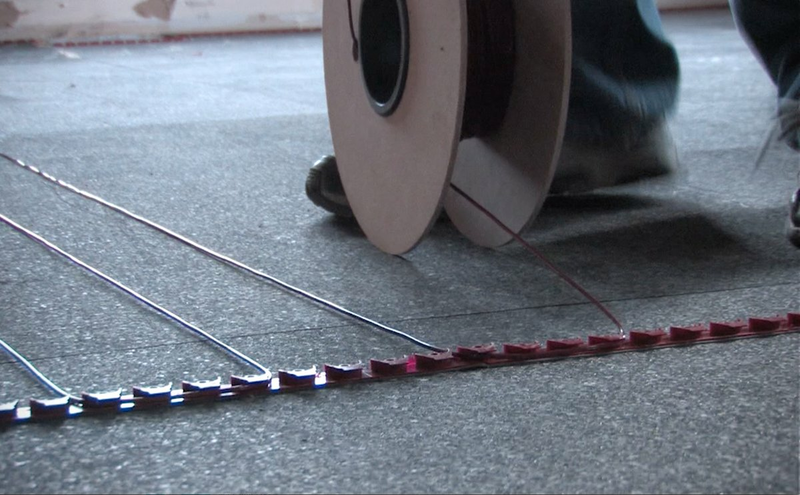 When fixing strips are used, cable is the most affordable floor-heating option. Customers can save up to a third of the price of a TempZone™ Flex Roll when choosing cable at 3-inch spacing. However, there is a tradeoff. Although cable is the most affordable, it’s also the most labor intensive because it has to be woven between fixing strips. 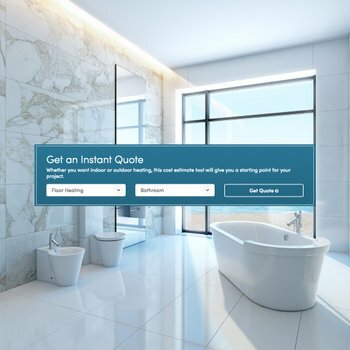 To see the difference between TempZone™ options for specific projects, check out WarmlyYours’s Instant Quote tool. For those seeking a floor-heating product that’s easy to install but still has the flexibility necessary for their project, WarmlyYours recently introduced the Prodeso Installation Membrane. The membrane features rounded square-shaped reliefs that allow the installer to secure the cable and space it at 3.75-inch intervals in the fastest amount of time. 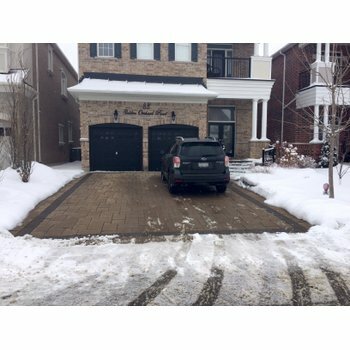 Unlike other installation techniques, the Prodeso membrane has the unique ability to complete a floor-heating and floor-installation project in just one day. When using the membrane, the thinset or self-leveling does not need hours to dry, which means you can install the flooring right over the heating element once it’s secure. Because the heating element is spaced at 3.75 inches in the membrane, it emits 10-12 watts per square foot, which is slightly less than the 3-inch spacing with fixing strips. This option is also more expensive because of the convenience factor and additional materials provided. However, it’s a great option for those who value ease of installation over price. For more information about TempZone™ Cable or to get an instant quote, visit www.warmlyyours.com.